Edgar is an author disturbed by his thoughts of failure. He has started writing his novel numerous times but has discarded his work each and every time. Why does he keep doing this? Why does he work so hard only to scrap everything? 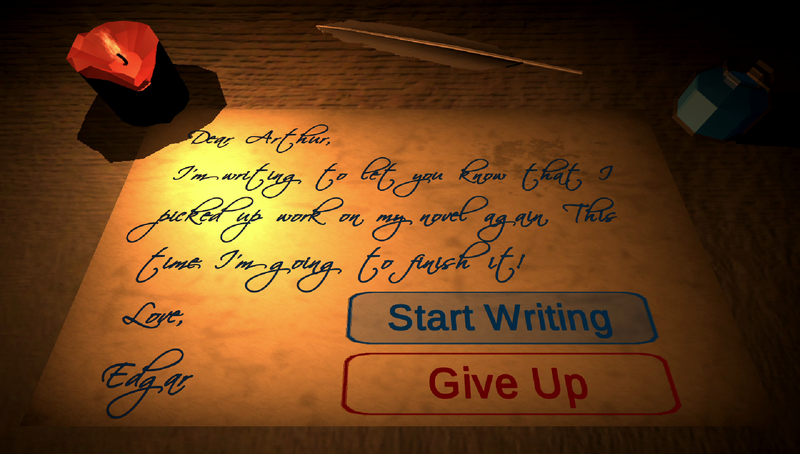 Play as Edgar in this game about exploring writer’s block. Join him as he pushes aside obstacles along the way to finish his novel and flees from the doubts haunting his mind.